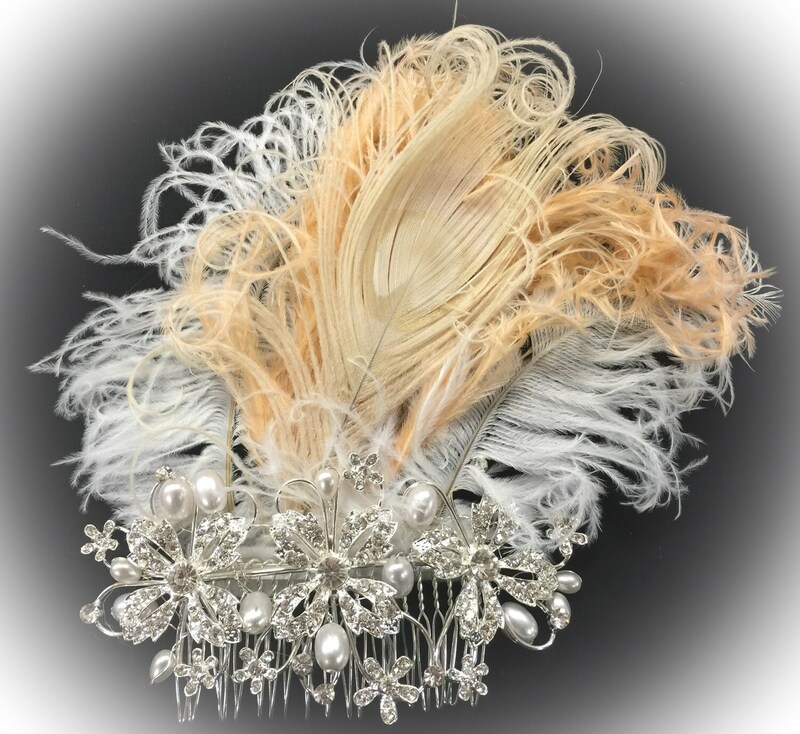 Custom made ostrich feather hair clip features a large off white peacock eye feather hand curled with peach blush and ivory white ostrich feathers. The peach has long fringe so you can move as desired to show less or more. Real Swarovski Elements Austrian crystal stones for maximum sparkle with real freshwater pearls weaved in the design with wire. Excellent quality metal comb on back. Measures approxitely 4.5" by 7". This is ready to go now! As with any natural product please allow for slight differences in each feather.